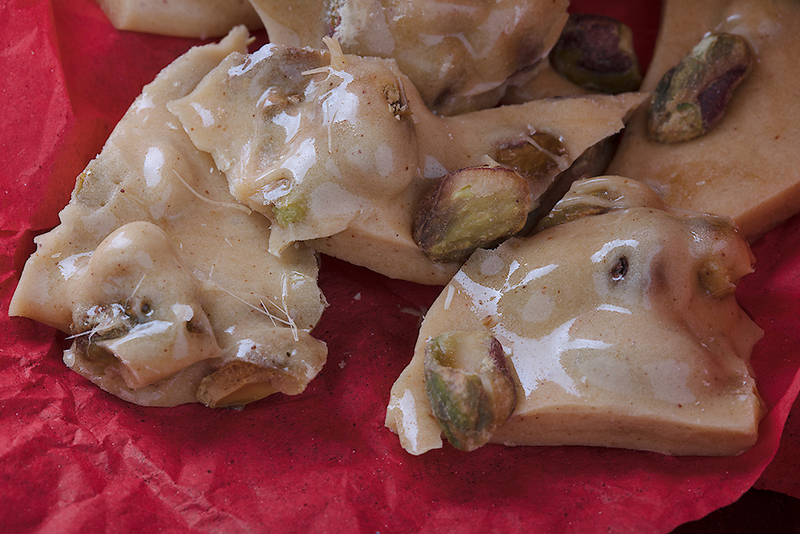 Familiar with the old saying, “Families are like fudge, a little sweet with a few nuts”? This is also true about our fudge (and our family BTW, okay TMI, back to the fudge…). This is an old family recipe, going back at least 50 years, and each Christmas the faded index card comes out and fudge is made, and handed out to friends and family. So our gift to you, the super secret family recipe. Happy Holidays! Combine sugar, marshmallows and canned milk in a large cast iron or stainless steel skillet. (Do not use non-stick, you will scratch it.) Bring mixture to a boil over medium to medium high heat, stirring constantly with a wire spring whisk. (The spring whisk will stir to the bottom of the pan and keep the mixture from sticking and burning. )_ Boil for 2 minutes. Remove from heat and pour over the chocolate chips, nuts and butter. Add the vanilla. Beat by hand with a wooden spoon until it is of a spreading consistency (it will be relatively cool by that point, butter scotch and some other flavors won’t get as think and may need to be refrigerated to set up completely.) DO NOT use an electric mixer, you will get a very good chocolate sauce but it will never set up. 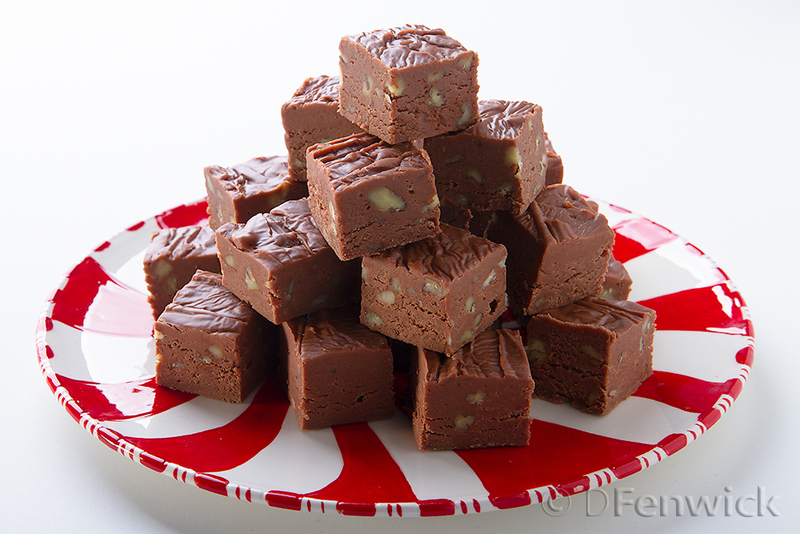 Pour the fudge into a greased 8×8 or 9×9 inch square pan. Let set over night. Cut into 3/4 to 1 inch squares and remove from pan.